Tony (Anthony) Teoli started in the Insurance business in 1984 and worked for People’s Life Collection & Debit. In 1986, Tony joined forces with Epps Agency to offer multiple lines of Coverage. He quickly grew knowledgeable and gained momentum in helping others. 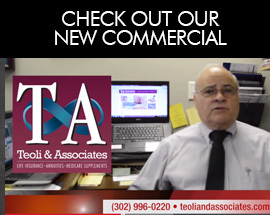 The following year Tony Incorporated Anthony F. Teoli & Associates, Inc. and quickly started his business by offering Life Insurance, Health Insurance, Auto Insurance, Home Insurance & Commercial Insurance. Tony continue advancing into studies that specialize in three main vital product services that help secure financial freedom for clients. He continues to focus on helping every customer propel in these important areas. We can only succeed if you succeed. Helping families, individuals, businesses, and organizations is Tony’s top priority. Tony has won numerous awards and rewards for Excellent service throughout the years. Tony is happily married to Diane and has two beautiful daughters and seven grand-daughters. He enjoys photography and helping the community.